The anti-mechanisation movement in the iron mines was one of the distinctive campaigns for which Dalli-Rajhara became known as the nerve centre of the workers’ struggle. I was there during the intense last phase of this movement. At the time these events occurred, Chhattisgarh was a part of the state of Madhya Pradesh. It was made up of the seven adivasi-majority districts in the south-east – Durg, Rajnandgaon, Raipur, Bastar, Bilaspur, Raigarh, and Surguja. It is an area rich in natural resources – an abundance of iron, coal, limestone, dolomite, quartzite, copper, uranium, tin, bauxite, feldspar, and manganese. There are large tracts of arable land. The rivers run almost all year round and large water bodies are fed by mountain streams. The forests contain sal, teak, tendu, mahua, bamboo and other timber resources. Several large industries have developed around these natural resources. Many of these were in the public sector to begin with. 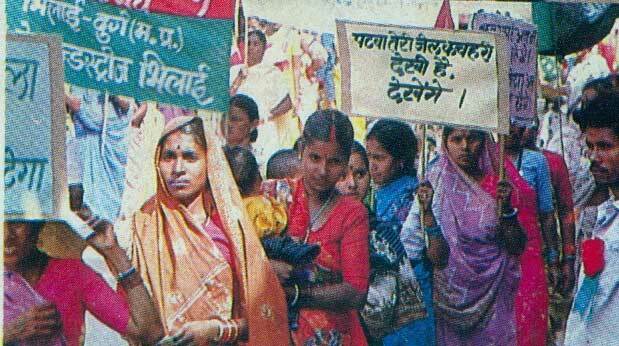 Apart from natural resources, cheap labour has also played a major role in the industrialisation of Chhattisgarh. The Bhilai Steel Plant, built in 1958 with Russian aid, is in the Durg district. This plant used iron ore from the Durg area mines of Dalli-Rajhara, Mahamaya and Ari Dongri. Quartzite was supplied by the Danitola mine, also in Durg district. Limestone came from the Nandini mines in Durg and dolomite from the Hirri mines of Bilaspur. The plant drew water from the Tandula, Gondli, Baidihi, Kharkhara, Gangrel and other reservoirs, depriving the farmlands of Durg from water for irrigation. In order to carry iron ore, train tracks were set from Dalli-Rajhara to Bhilai destroying thousands of acres of farmland and forests. The steel plant and mines continuously spewed pollutants into the air, water and soil. The natural equilibrium of Durg district was destroyed and it was declared a drought-stricken area year after year. Dalli-Rajhara:Dalli and Rajhara are the names of two hills, hills of iron ore. The Dalli hill had three mines, Dalli, Mayurpani and Jharandalli. Rajhara had two – Rajhara and Kokan. The Dalli-Rajhara group of mines also included two others, Mahamaya 18 Km away and the Ari Dongri mine 20 Km away. The Bhilai Steel Plant owned these mines. The mine town of Dalli-Rajhara grew around these five mines in the late fifties. When I was in Chhattisgarh (1986-1994), the population of Dalli-Rajhara was about one lakh, twenty thousand. The one lakh people of the Dondi-Lahara block also depended on Dalli-Rajhara for their livelihood. They were farmers who supplied wood, vegetables, grains, milk and other necessities to the residents of Dalli-Rajhara. The independent union representing contract labourers of the Dalli-Rajhara iron mines, the Chhattisgarh Mines ShramikSangh (CMSS), was constituted on March 3rd, 1977. The anti-mechanisation struggle was one of the many unique campaigns undertaken by this union. To understand this movement, it is necessary to know the work processes of manual and mechanised mines. Razing: male workers broke apart the large chunks using spades and large hammers, and then female razing workers break the big pieces into even smaller ones with small hammers. The pieces are then separated into two piles, 0 to 10 mm and 10 mm to 80 mm. Transporting: loading the ore in baskets onto a tipper truck, driving the ore to its destination. The tools needed for the manual process: bores (digging machines) for prospecting, small drilling machines, shovels, hammers, picks, and spades. In a mechanised mine, by contrast, block preparation is done using bulldozers. Regular drilling is replaced by heavy drilling and regular blasting by heavy blasting. Here the chunks of iron ore are not broken down at the mine. The large chunks are loaded onto a dumper using shovels. One dumper can do the work of several tipper trucks and can easily carry heavy loads that would be too much for a tipper truck. The big chunks of ore are broken into pieces at the plant. A jaw crusher can break apart rocks as large as 1000 mm. A cone crusher is used to make the pieces smaller. As we can see, in a mechanised mine, the job of a razing worker is done using bulldozers, shovels, jaw crushers and cone crushers. A shovel does the job of a transport worker. Within the Dalli-Rajhara group of mines, the Rajhara mine was mechanised from the start. The manual excavation method was used at Kokan, Dalli, Jharandalli, Mayurpani, Mahamaya and Ari Dongri. Ari Dongri was later mechanised, the local AITUC-controlled workers union was not able to stop it. The Bhilai Steel Plant management then turned their attention to Dalli. Since Kokan and Mahamaya did not have large enough deposits to justify the investment needed, the management never considered mechanising them fully. On the other hand, the Dalli mine was an obvious target since it had a huge quantity of ore. Also, since Dalli, Mayurpani, and Jharandalli were located on the same hill, mechanising one mine would make it easy to mechanise the other two later. The work of mechanising the Dalli mine had begun even before the Chhattisgarh Mines ShramikSangh was formed, i.e. before 1977. Cone crushers were installed to break the ore. A screening-sorting-washing plant was installed to improve the quality of the ore and make it suitable for steel production. In 1978, the effort began to complete the process of mechanisation – building wide roads suitable for moving shovels and dumpers in the mine area, obtaining machinery needed for heavy drilling from the Soviet Union, buying shovels and dumpers, and installing jaw crushers. This coincided with an event at the Bailadila mine in Bastar. Several thousand workers lost their jobs to the mechanisation of the iron mines. The workers union there was linked to AITUC. The central leadership took no action while local leaders tried to organize the workers against mechanisation. But faced with police bullets and attacks from the thugs hired by the contractors, the workers lost their fight. The workers of Dalli-Rajhara learned from the Bailadila incident. Shankar GuhaNiyogi wrote “Kirandul keagnigarbh se” (From the fiery interior of Kirandul). Apart from blocking mechanisation through agitation, the workers union in Dalli-Rajhara also provided data-based reasoning to explain their opposition to mechanisation. The Chhattisgarh Mines ShramikSangh demonstrated that the five shovels needed in order to mechanise the Dalli mines would cost 81,80,000 Rupees per year. Ten thousand new workers could be employed for the same amount whereas, with mechanisation, 7500 current workers would lose their jobs. Not only would mechanisation put razing and transport workers out of work and cause their families to go hungry, the shops in Dalli-Rajhara that served mine workers would close, and the people from surrounding villages who supplied goods to the shops would lose their earnings. Families of mine workers, who depended on their support to farm in their home villages, would be affected as well. With dumpers replacing trucks, a large number of truck owners, drivers, helpers, garage owners and garage workers would also lose their livelihoods. By campaigning widely on this issue of economic loss and social disruption, the Chhattisgarh Mines ShramikSangh was able to gain strong public support for its anti-mechanisation struggle. On the one hand mechanisation would lead to higher unemployment, on the other it would increase economic and technological dependence on a foreign country – this was also a point that the Chhattisgarh Mines ShramikSangh emphasized strongly in its campaign. The Soviet Union would lend money for mechanisation, machines and spare parts would have to be procured from them, and the technical know-how would also be theirs. The interests of the nation and the people would be surrendered and self-reliance undermined in exchange for inflated foreign bank balances for a few political leaders and bureaucrats. When the Dalli-Rajhara anti-mechanisation struggle began, the Janata party government was at the centre and Biju Patnaik was the steel minister. Shankar GuhaNiyogi met with him and he listened to the arguments of the Chhattisgarh Mines ShramikSangh. He said that the 40 crore rupees already invested in the cone crushers and the screening-sorting-washing plant could not be allowed to go to waste. The union must come up with an alternate proposal that would save the investment as well as workers’ jobs. Eliminate the plan to install heavy drilling, heavy blasting, shovels, dumpers and jaw crushers and instead use current methods of regular drilling and blasting, razing, transport workers and tipper trucks. This will save the jobs of workers and also keep production costs low. The machines that have already been bought can be used at the Rajhara mechanised mine since the machines there are old and almost at the end of their life spans. Use the cone crushers and screening-sorting-washing plant that have already been installed.This will improve the quality of the ore. Also, the razing workers will be more productive since they don’t have to break the ore into very small pieces, that job will be done by the cone crusher. On 20th April, 1979, the Bhilai Steel Plant entered into an agreement with the union to implement the semi-mechanisation proposal at the Dalli mines for two years on an experimental basis. It was decided that the results would be studied after two years and a final decision would be made at that time. After two years, though, the results were not evaluated as agreed. The semi-mechanised process continued in the Dalli mines until 1989. In the intervening ten years, management tried time and again to weaken workers’ resistance to mechanisation. There were efforts to reduce the number of workers in the manual mines so that production would go down and the need to raise production levels could be used as an excuse to push for mechanisation. Management stopped filling vacancies created by death, retirement and other causes. A thousand women workers who used to load ore onto wagons at the Dalli railway siding were departmentalized and transferred to other places. Instead, wagons were loaded using small shovels. These workers were members of the AITUC-linked SKMS union which did not protest against the use of shovels. The departmentalized women were transferred to other mines, but as most of them had their husbands working at Dalli-Rajhara, they took voluntary retirement to keep families together. Most of the workers at Dalli-Rajhara were illiterate. The management took advantage of this limitation and forced 500 workers between the ages of 40 and 58 to retire. In order to weaken the union, management tried to close the Kokanmine with the false excuse that the supply of ore at the mine was exhausted, and then transferred 1200 members of the Chhattisgarh Mines ShramikSangh to Mahamaya. After a long struggle, workers forced management to reopen the Kokanmine in 1987. In mines where the Chhattisgarh Mines ShramikSangh had less influence, the transport workers were terminated, or were departmentalized and transferred and made to work with shovels. Some contractors and worker cooperative societies had contracts in Dalli and Jharandalli for razing and transporting. There were attempts to eliminate their jobs by not renewing the contracts. However the workers put a stop to this. In families where the husband and wife both worked at a mine, the husband was departmentalized and transferred to a different mine. The wives took voluntary retirement. The number of women workers was reduced by about 800 in this way. Workers who had been employed for a long time were induced with good pay packages to take voluntary retirement. The main target of the management was the Chhattisgarh Mines ShramikSangh, but the union managed to keep almost all of its membership intact. 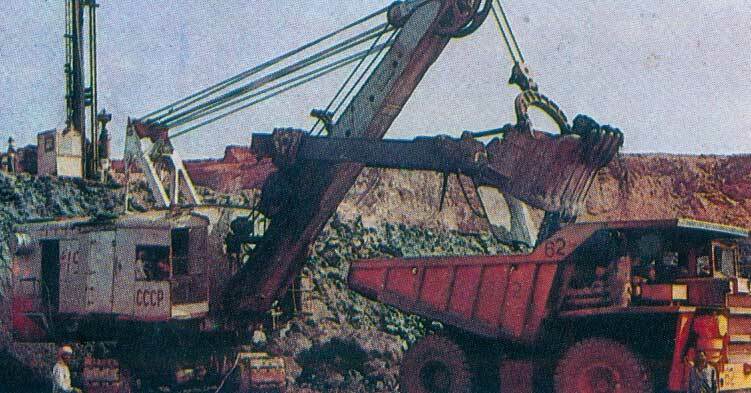 In December 1988, the Bhilai Steel Plant gave a major Bhilai contractor a 16 crore rupee contract forStage IImechanisation of the Dalli mines. The first phase involved installation of a jaw crusher and a screening-sorting-washing plant. Mechanisation is needed to increase production. The current rate of iron ore production is not enough to reach the goal of 50 lakh tonnes of steel per year by 1995. The new blast furnace at the steel plant needs better quality iron ore. It is not possible to produce that using manual methods. There are no grounds for the union to fear that mechanisation will result in job losses for workers. For the quality of iron ore found in Dalli-Rajhara, 1 tonne of steel is produced from 1.6 tonnes of ore.Thus the quantity of iron ore needed to produce 50 lakh tonnes of steel = 50 x 1.6 = 80 lakh tonnes. So the shortfall is 8 lakh tonnes. The Chhattisgarh Mines ShramikSangh calculated that hiring only 540 more workers would enable the mines to reach the target of 8 lakh additional tonnes. The union demonstrated that installing a jaw crusher would eliminate the jobs of razing workers. Material suitable for a jaw crusher cannot be carried by ordinary trucks. So transport workers would also be eliminated. A total of 10,000 workers would be out of work, 7,500 members of Chhattisgarh Mines ShramikSangh, the rest belonging to INTUC and AITUC. The union showed that when mechanisation was completed, the one lakh twenty thousand strong population of Dalli-Rajhara would be decimated with only 20,000 remaining. Contract workers and workers from cooperative societies must be departmentalized with dignity, so their connection to essential production is maintained and management is not able to eliminate their jobs at will. Gratuity must be given at once. Until they are departmentalized, they should be granted casual leave and festival leave. How did the workers fight back in 1989? The BK company of Bhilai got the contract for installing machines in the mines. At first, they hired 97 contract workers to dig the ground. In the first week of January they tried to carry machines to the Dalli mines. CMSS workers blocked the path of the machines day after day. In February, a citizen’s meeting was called by the legislator Janaklal Thakur to oppose the installation of machines. It was uncertain when the crushing plant would be installed in the Dalli mines. So the Bhilai Steel Plant management gave a contract to HSCL to run four small crushers. In order to demoralize CMSS members, the sub-contract for the first crusher was given to a bogus cooperative society that belonged to AITUC. AITUC leaders collected money from unemployed village youth promising to give them jobs. The contract for the second crusher was given to a local contractor and for this too the workers were hired through AITUC. The “Navjawansangathan” of the Chhattisgarh Mines ShramikSangh forced management to give them the contract for the third crusher by agitating and hired 120 workers for the job. The workers from the second crusher soon left AITUC and joined the Chhattisgarh MuktiMorcha organization to campaign for a minimum wage and an 8-hour work day. Realizing they were in trouble, HSCL shelved plans for the fourth crusher. In desperation, the AITUC resorted to violence and started attacking CMSS members. B K Company paid 8 rupees a day to the 97 workers they hired initially. The workers began a strike with a demand for a minimum wage of 17 rupees 18 paise per day. At first CMSS members had blocked the path of the machines, now these 97 workers started obstructing the path of the vehicles carrying the machines. In trouble, B K Company filed a lawsuit against CMSS and Shankar GuhaNiyogi to stop them from obstructing the vehicles. In mid-March, the three HSCL crushers were stopped, since by then CMSS members were in the majority. AITUC took processions into the CMSS worker neighbourhoods and abused people in order to provoke a violent reaction. Section 144 was put in force ostensibly to maintain the peace but really to make it easy to suppress the anti-mechanisation movement. This ploy was defeated by CMSS members who remained peaceful. Next, the mine management served notice to a CMSS-linked cooperative society to vacateitswork area. They planned to dig in that area using shovels. CMSS went on strike. The Durg civil court handed down a verdict in the BK company lawsuit barring Niyogi and three other CMSS leaders from obstructing the path of vehicles. The workers ignored the court order and continued the obstruction. On the first of April, CMSS began a work slowdown and management was forced to buy iron ore at Rs. 400 a tonne from Bailadila in order to keep the Bhilai plant running. On 6th April there was a complete shutdown in Dalli-Rajhara as a protest against mechanisation. At the same time, the popularity of AITUC was on the wane. AITUC began a rampage in the beginning of May, attacking the jeep of the Chhattisgarh MuktiMorcha legislator and beating up members of CMSS. CMSS fought back – not ordinary workers, but leaders of AITUC were selectively beaten up. This put an end to the assaults. On 6th May the court ordered the authorities to take B K Company workers to their place of work by any means necessary. The timing was crucial – it was the year of the 1989 Vidhansabha election and Durg was the home district of the Madhya Pradesh Chief Minister Motilal Vohra. The authorities knew that they could not break the CMSS obstruction without bullets and this was not a good time for such a confrontation. 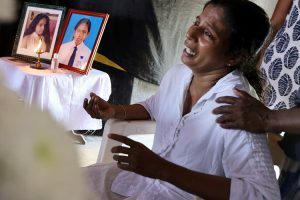 The police and authorities requested CMSS leaders to let the AITUC workers through just once to honor the court order. 170 of the 800 AITUC workers were brave enough to go to their workplace under the protection of 350 paramilitary jawans. The court had only ordered workers to be escorted one way. The paramilitary force left the workers at their workplace and returned. The 170 workers were stranded there with no way back. From 1st April to 1st May, CMSS conducted a slowdown. Beginning 2nd May, there was a strike. The Bhilai Steel Plant began to lose 40 lakh rupees a day. The central steel ministry was concerned and steel minister MakhanlalFotedar met with Niyogi. He said that he did not have the power to stop mechanisation since this was part of national industrial policy. He acknowledged that the demand for departmentalization was justified, but noted that, if the 10,000 contract workers of Dalli-Rajhara were departmentalized at the ministry level, then the ministry would also be responsible for departmentalizing the almost one lakh contract workers in mines all over India. So any decision must be taken at the level of the Bhilai Steel Plant. The strike got underway on May 2nd. Although workers returned to their jobs on May 24th, a slowdown was maintained to keep the pressure on. AITUC tried their hooliganism again and this time local businessmen and other groups of people joined the CMSS in their resistance. In June there was a 19-day fast by legislator Janaklal Thakur followed by a 12-day fast by comrade Shankar GuhaNiyogi. The workers’ obstruction movement also continued. The almost 10,000 contract and cooperative society workers became eligible for gratuity. This was the first time contract workers were approved for gratuity since the 1972 gratuity law was passed. They would get 7 days casual leave and 5 days festival leave every year. It was decided that, at Kondekosa B, only the top layer of earth and the superfluous rock layers would be removed using shovels and bulldozers. The mining method would be decided on by mine management in consultation with CMSS. As long as the current generation of workers were there, there would be no mechanisation in Kondekosa A, Mayurpani and Jharandalli. Departmentalization would begin at once. Once again mechanisation was defeated by the workers’ movement. On 28th September 1991, comrade Niyogi was martyred by the bullets of killers hired by Bhilai industrialists. An ideological struggle began within the leadership of the Chhattisgarh MuktiMorcha – classstruggle versus class compromise. The ones in favour of compromise took over the leadership of CMSS and the Bhilai Steel Plant management found friends among them. In mid-1994, the CMSS leadership made an agreement to give up the mine to mechanisation in exchange for departmentalization of workers. The agreement was written in English. Shaheed Hospital doctors translated it into Hindi and circulated it among ordinary workers. We showed them that older workers would not be eligible for departmentalization and that they would be eliminated by declaring them unfit through medical tests. In order to teach the doctors a lesson, the CMSS first suspended me from the organization and then expelled me. Two other doctors resigned in protest. But we could not stop the agreement from being implemented. I left Dalli-Rajhara in 1994 and only returned after thirteen years in 2007. The place that earlier had a population of 1 lakh 20 thousand, then had only about 40,000 inhabitants. There were no cycle rickshaws in town – the regular and departmental workers of the Bhilai Steel Plant that lived in the town had scooters, motorcycles and cars and didn’t need rickshaws. Many shops were permanently locked, the cinema hall was closed and the doorway was overgrown with grass. As we had predicted, older workers had not been deemed eligible for departmentalization. They were persuaded to take voluntary retirement. Many were declared unfit in medical tests. Those who passed the tests were departmentalized and moved to different mines. If husband and wife found work in different places, the wife was forced to give up her job… By signing the mechanisation agreementafter the demise of Niyogi, the Chhattisgarh Mines ShramikSangh leaders had paved the way for the destruction of the union itself. For sixteen long years, the contract iron mine workers of Dalli-Rajhara managed to keep machines at bay and save the jobs of workers. I hope the story of their struggles, both the positive and negative aspects, will serve as a lesson for workers in other places. This is chapter 3 of a 10 part series. To be continued…. The fight against injustice continues due to the sacrifices of comrades like Niyogi. His assassination stopped the process of a crucial creativity for giving new dimension and updated challenge to the forces of capitalism. Grateful to Dr. Punyabrata Gun for penning these memoirs so that our stories of heroic fights against capitalism and feudalism are not lost to future generations and thanks to Contercurrents for making it available to readers globally. His killing was a personal loss to me as I lost a very dear comrade.